The goal of our 100th anniversary celebration is to ignite a spirit of pride that sparks an attitude of giving. All kinds of support is needed because all kinds of engagement can impact the education and experience for our faculty, staff, and students. Invest in Goizueta and help us shape the future of business. For more info, contact Stephanie Block. Every alliance enriches our community. One of Goizueta’s strategic pillars as well as a vital contributor to Atlanta’s ongoing success, real estate continues to be an area of distinction. Led by veteran faculty and program director Roy Black, our initiative provides students experiential opportunities to manage their own fund, industry mentors for career guidance and innovative curriculum for lifelong success. Consider supporting this initiative and help us “Go Beyond." Goizueta’s greatness attracts talented students from around the globe. To remain a destination institution for the next generation of business leaders, Goizueta must ensure resources exist for the best and brightest minds. Scholarship funding is an ongoing need with far-reaching benefits able to impact students today and futures tomorrow. We welcome your generous support as a means to secure success that will last a lifetime. Our namesake was one of the great business leaders of the 20th century. Before he gifted his generous donation, we named our school after him because of his principles and the integrity he displayed in an illustrious career. During his 16-year tenure at The Coca-Cola Company, Roberto C. Goizueta ensured its place among "America's Most Admired Corporations," as listed by Fortune. 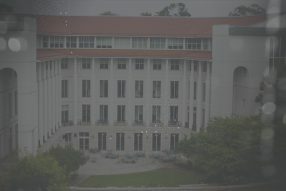 While building the business, Goizueta also contributed substantially to the progress of Emory and the business school. Throughout his life, Goizueta was driven by curiosity, intellectual courage, and integrity. We are honored to share his name and live out his values, which form the cornerstone of our educational approach and are fundamental to our mission to educate the best of tomorrow's leaders. Today, Dean Erika James carries our torch forward, leading the way for Goizueta by using our influence and expertise to gather the best minds to solve the biggest problems. With her guidance, we’ve created business principles in honor of Roberto C. Goizueta that will lead us into the future. Together, we will examine ways to secure and encourage the workforce and the shape the impact business will have on society in the 21st century.